Hello! My Name is Mahmoud Khamis Jillo. And, this is my story. As a youth in Kenya, I witnessed firsthand not only the beauty of nature, but also the ecological problems and challenges involving both the natural resources and the people. Growing up on the coast, especially, I could not help but realize that what happens on land ultimately affects the health of the ocean and the people. This experience made me recognize that people and the environment must be thought about in a holistic framework for an in-depth understanding of environmental issues. When I recall the many, many interactions with nature I had in my youth, the most vivid is my first visit to a mangrove swamp in the coastal island of Lamu, Kenya, where I grew up. As a small boy, I was captivated by it all: the chattering of multicolored birds; the splashing sounds of mud-skippers happily hopping from one mangrove root system to the next; the scrambling fiddler crabs scavenging for their share of food for the day; small fish gliding peacefully through the shallow ponds formed when the sea ebbed; and the smell of sulfur from bacteria breaking down the detritus, releasing nutrients into the water that is then used by marine organisms. I just fell in love with this beautiful natural sanctuary. As years pass, this image is never far from my mind. I think of this special place often. Those encounters shaped my relationship with the environment. 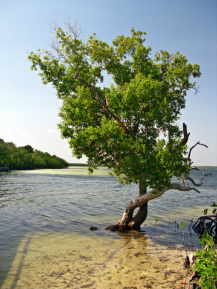 They gave me an understanding that a mangrove swamp is a great example of how different organisms interact with each other and their surroundings. I discovered how each organism plays a role in its own survival, and the survival of others, through an intricate arrangement that maintains a natural balance that all humanity can learn from. My experiences created in me a great respect for the environment and a strong interest in conservation. 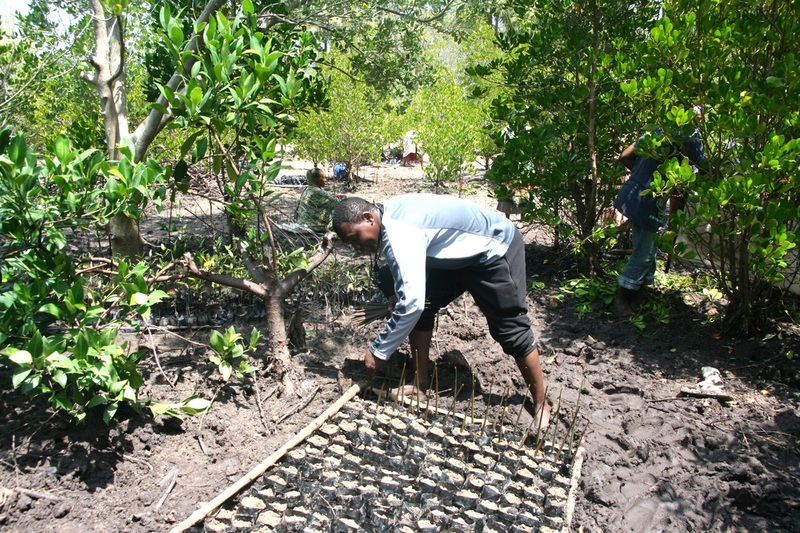 They also formed my passion for educating people and engaging them in positive efforts to ensure that our environment survives for future generations. In recent years, I returned to this magical region, expecting to find the same natural wonder that I encountered as a young boy. I was shocked. 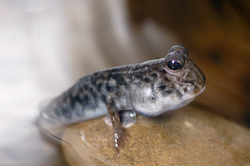 Gone were the swamps, the trees, and all the fascinating creatures. In their place was a bare, shiny, sandy beach. "What happened?" I wondered. 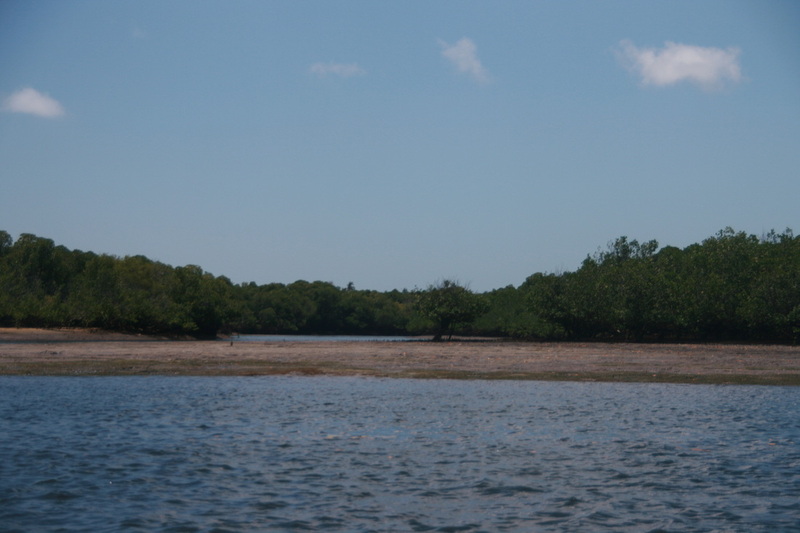 I learned that the mangrove forest had been cleared to make way for development. Devastated, I thought to myself, how could they have not seen the interdependency and magic I saw as a young boy? 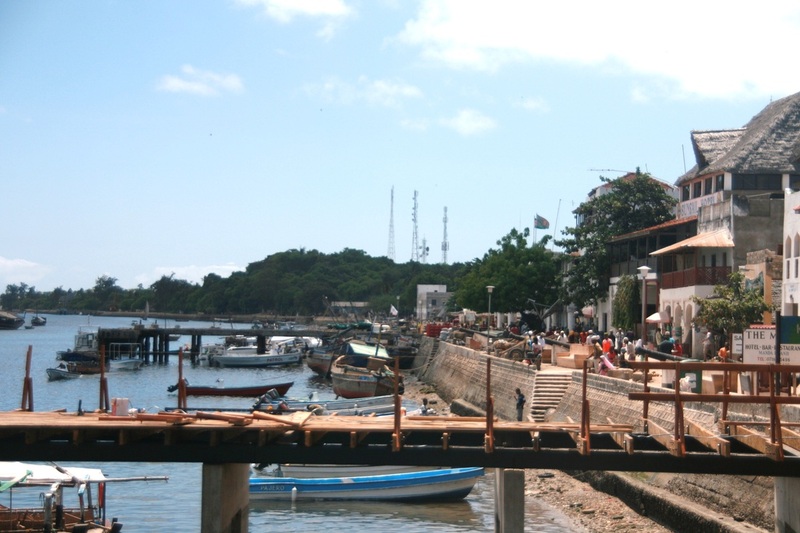 I simply could not understand how they failed to foresee the perils caused by the clearing of the mangroves--the terrible effect on fisheries and increased coastal erosion that leaves the local population vulnerable to storms. The acceleration and worsening of environmental degradation. What I saw immediately brought great despair, and a yearning for my childhood nature experiences that forged a bond that will last a lifetime. I was saddened, especially by the fact that it was too late for me to do anything. Since that time, I promised myself I would work toward deflecting the winds of destruction and not only heal the damage done, but also prevent future devastation. And I would accomplish this through learning and teaching about the environment. 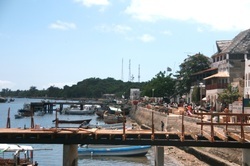 My home town, Lamu, Kenya. Although I did not realize it then, this resolution would lead to the birth of KEA. At this point, I knew the problems. My first task, then, would be to search for solutions. Turning my keen interest in the environment toward my homeland, Kenya, I helped develop educational programs to promote awareness of ecological issues in the region. When I relocated to the United States, I obtained a Bachelor's degree in Environmental Studies from California State University, San Jose. And for well over ten years, I have been working in public service in California. Thus, the concept and formation of Kaskazi Environmental Alliance (KEA) was grounded in my background, both academic and experiential. The heart of this project is a curriculum that reflects this background--a curriculum that combines leadership development, experiential learning, and multimedia communications to inspire environmental stewardship. This approach is meant to bring together collective communal energy and expertise to help to create something extraordinary that will continue to grow. KEA will be guided every day by the principle belief of a holistic framework, that is, that the interrelationship of environment and man is sacred and must be protected for our own survival and future generations. Through education, KEA will mold the next generation into informed, environmentally-aware, motivated citizens who will become good stewards of the Earth’s resources. Moreover, participants of our program will feel empowered, with a sense of community service leading to even more widespread environmental stewardship. It is my sincere hope that my story will inspire other young people just as my experiences have inspired me. More importantly, it is my hope that future generations will protect the planet, the oceans--the entire environment--leading to a more sustainable environmental and economic future for generations to come. I invite you to join us in this endeavor! 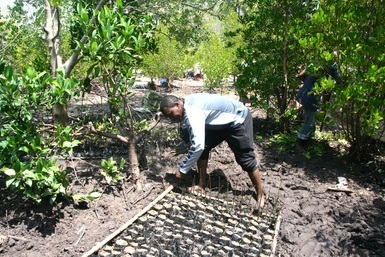 Founder & President Mahmoud Jillo planting mangrove seedlings, Kenya.